The Seattle City Council this week told its utility to move away from getting electricity from fossil fuels and nuclear energy. The resolution also directs Seattle City Light Department to use its position on the Energy Northwest board to consider replacing its electricity with carbon-neutral alternatives. 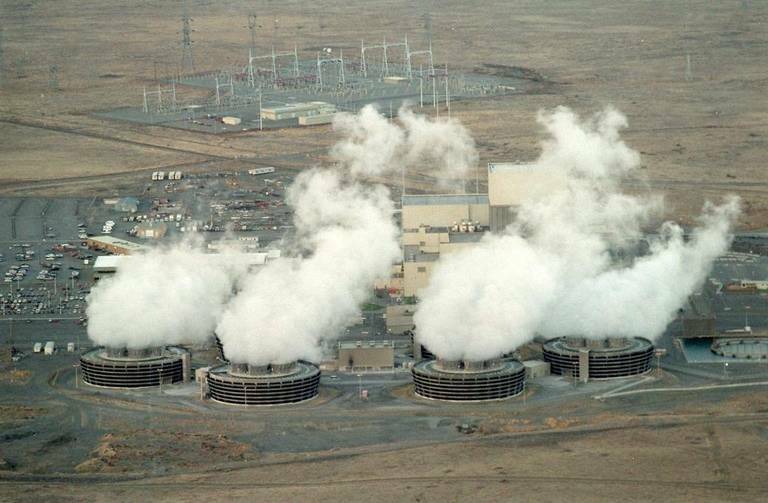 Energy Northwest operates the Northwest's only nuclear power plant, the Columbia Generating Station near Richland. Its production goes to the Bonneville Power Administration, which supplies a portion of Seattle's electricity, including about 4 percent of the city's electricity that comes from the nuclear plant. The activist group that spearheaded the resolution said the resolution gives Seattle City Light the goal of closing the Richland reactor. The reactor employs about 1,000 people and pumps $400 million into the Tri-City-area economy annually, according to Energy Northwest. The document, which the Seattle council passed unanimously, is intended to oppose new nuclear efforts and require an ongoing evaluation of existing nuclear power generation on the basis of health, safety, reliability and cost. It also opposes the use of fossil fuels to produce electricity. The resolution does not explicitly call for a shutdown of the Richland nuclear plant, "but it still is a very important tool that activists believe they can use to put pressure on all those who decide the fate of Columbia Generating Station," said Councilwoman Kshama Sawant. She called the language in the resolution a compromise. It was written by activist organizations, including Physicians for Social Responsibility and Heart of America Northwest. THE COUNCIL VOTE WAS UNFORTUNATE. WE DON'T BELIEVE SEATTLE IS ANTI-NUCLEAR OR ANTI-CLEAN ENERGY PER SE. THEY JUST GOT A LOT OF REALLY BAD (INFORMATION) THAT WENT UNCHALLENGED, AND UNFORTUNATELY, THEY ACTED ON IT. Physicians for Social Responsibility said in a statement before the council voted that the resolution would establish Seattle City Light as the first utility in the Northwest to set parameters for closing the Columbia Generating Station. The resolution makes note of the workforce at the nuclear plant, saying there should be retraining programs, retirement plans and reassignment to decommissioning as part of a transition to clean, healthy and renewable electricity production. "The council vote was unfortunate," said John Dobken, spokesman for Energy Northwest. "We don't believe Seattle is anti-nuclear or anti-clean energy per se. They just got a lot of really bad (information) that went unchallenged, and unfortunately, they acted on it." He pointed out that earlier the council's Energy and Environment Committee considered the resolution, inviting only those opposed to the Columbia Generating Station to the table to discuss the issue. Those participating in the public comment period of the council meeting supported the resolution. They said the reactor is aging and not designed to withstand a severe earthquake and that the nation has no way to dispose of used nuclear fuel. IT IS THE POLICY OF THE CITY OF SEATTLE TO SUPPORT CLEAN AND SAFE ENERGY SOURCES THAT GENERATE THE LOWEST AMOUNT OF GREENHOUSE GASES OR RADIOACTIVE WASTE. They said it has similarities to the reactors involved in the Fukushima, Japan, nuclear disaster. They said nuclear power was not economical and that the electricity it produced -- the equivalent of the electricity required by a city the size of Seattle -- could be replaced at a reduced cost by a combination of renewables such as wind and solar and conservation. The resolution discussed the advances being made in storing solar and wind power, which can only be produced as the weather allows, saying the advances make the goal of 100 percent renewable electricity achievable. Energy Northwest did not attend the meeting to provide public comment. But it later countered arguments, saying that nuclear is less expensive than heavily subsidized and intermittent wind and that the possible replacement option for nuclear -- natural gas -- is not carbon free. The issue at the Fukushima nuclear complex was a 45-foot tsunami rather than the earthquake, it said. The Richland nuclear plant was built on 50 feet of compacted structural backfill soil which is not susceptible to the liquefaction that occurs during earthquakes, causing principal damage to structures, it said. The used nuclear fuel from the plant is stored in a space a 20th of the size of BPA's nearby Ashe electrical substation, it said. It also countered claims that the reactor is old, saying it is in top condition after 32 years of operation, with many years of operation left.